In a time before massive overregulation by the government, even starting your own car manufacturing business was a lot simpler. 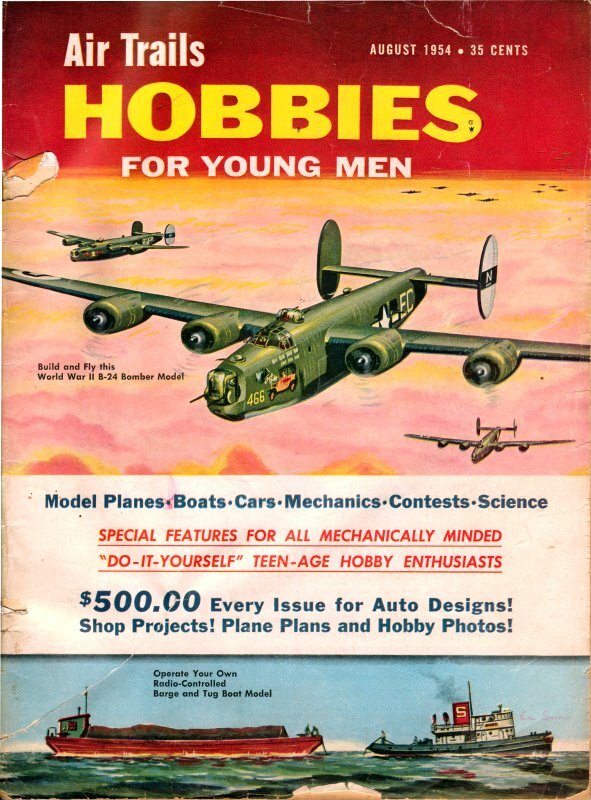 In the early part of the 20th century there were dozens of independent car companies that vied for the hard-earned money of a public growing increasingly demanding of modern conveniences both in the home and outdoors. Unlike recent history where an overreaching government decides who the winners (e.g., Chevrolet - aka Obama Motors) and losers (e.g., Pontiac) are, market forces (i.e., the public) decided which companies deserved to thrive and which deserved to push up corporate tulips. This series of sketches by Douglas Rolfe gives you an idea of some of the early contenders. Rambling down Memory Lane once more we run into a number of cars famous in American automobile history and regarded with great affection by their owners. Some of these makes we will encounter yet again on further rambles. It will be impossible, for example, to pass up the last model 24 of the Pierce-Arrow which anticipated modern body styling by almost a decade and to an extraordinary degree. 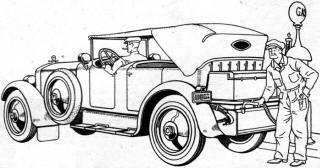 It will be noted that the cars illustrated on these pages range in styling all the way from the curious old rear-entrance tonneau types to such slinky jobs as the custom Pierce of 1920, and that such refinements as oleo shock absorbers. doughnut tires and automatic: gearshifts have already put in their appearance that is to say by 1920. As a matter of record the electric gearshift goes as far back as 1913, and all the cars shown with the exception of the vintage models such as the Pope-Toledo and the early Peerless had full electrical equipment, including self-starter and horn. Steel disc: wheels had become common and were gradually replacing the old and cumbersome detachable rim. Emphasis has been given to open models, since even In 1920 they predominated. For more than 30 years one of proudest names in U.S. auto history, Peerless dropped out in 1932. This is 1904 Peerless Model 14. 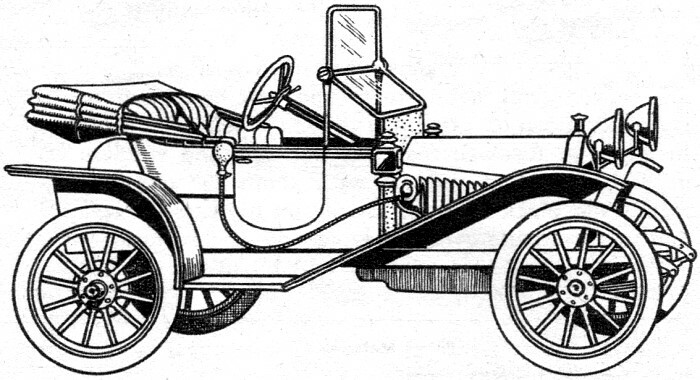 The 1912-13 Model 32 Roadster by Hupmobile. The "Hup," which gave up ghost in '41 after more than 30 years of life, earned rep as a top car in medium-priced field. Zero weather held no terrors for proud owners of this 1923 Franklin Sedan. 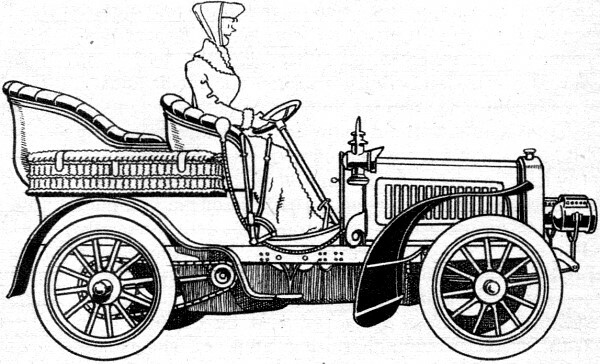 From 1902 till '32 Franklin specialized in cars having air-cooled engines, while their resilient all-wood chassis and elliptical springs made them most comfortable riding autos of the day. Pope Manufacturing Company produced this 1904 chain-drive Pope-Toledo. This early firm (1897-1912) also put out a Pope-Hartford. 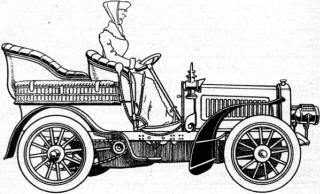 Another great name was Locomobile (1899-1929). General Pershing's WW I staff car shown here had steel disc wheels, V-type windshield and what looked like jeep-style fenders. 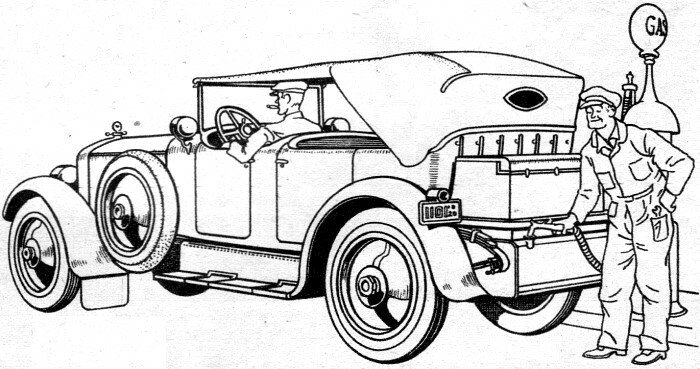 This sleek Gray Goose of Wills St. Claire Co. (1921-1926) had V-eight engine styled after Hispano-Suiza powerplant. 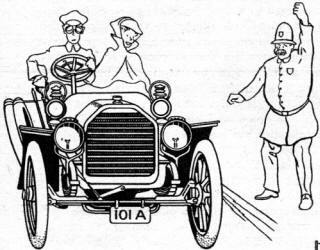 The Owen-Magnetic (1916-1920) was one of the first cars in the world able to advertise pushbutton (electric) gearshift - in this case standard equipment. The "chummy roadster" enjoyed a brief vogue. The above 1919 model Chandler (1912-1929) was priced at $1795, boosted 14-16 miles to the gallon and promised at least 6,000-8,000 miles on one set of tires! Product of a true pioneer car company, this 1920 custom-built Pierce-Arrow Phaeton was the last word in luxury car design of its time. 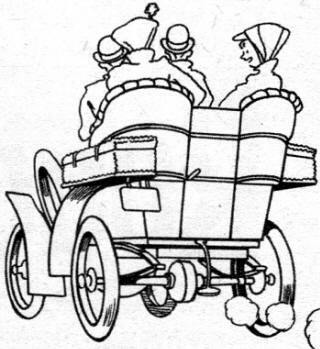 Pierce-Arrows rolled the roads from 1901 until 1938. This one was for a Hollywood actor. Familiar sight in pioneer days - rear-entrance tonneau body with no weather protection at all. 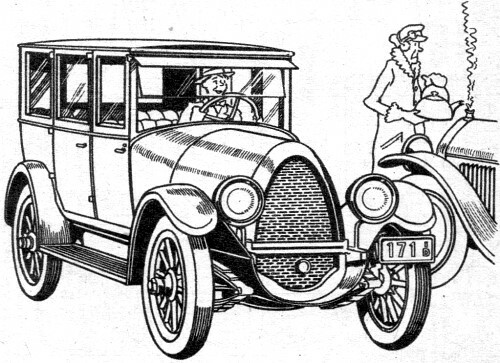 The "Eight with eighty less parts" was how Apperson blurbed this 1920 touring model. Apperson (1905-1926) labeled its eights with the catchy term "Jackrabbit."